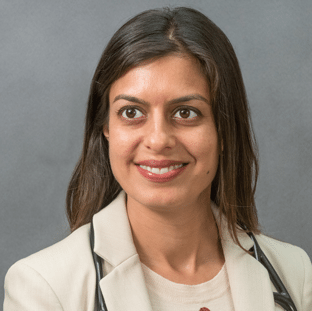 Shefaly Ravula is Physician Assistant currently working under the supervision of Dr. Pradeep Kumar and is involved in all aspects of private practice patient care. Shefaly has worked for Austin Gastroenterology off and on since 2003. Shefaly has a special interest in nutrition with a strong focus on culinary medicine. Shefaly took a few years off from Austin Gastro to raise her young children and worked as a culinary educator, cooking instructor, and food writer for the Austin-American Statesman and other publications.